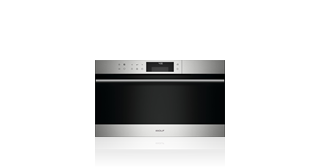 No ovens have ever been so versatile, so intelligent. 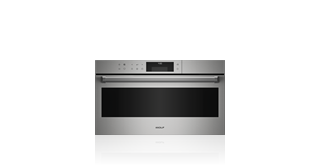 Choose the cooking mode combining steam and convection that's ideal for your dish, and the oven's unique digital technology adjusts all the details of cooking. Bake bread, roast prime rib, even bring leftovers back to steamy, flavorful life. Everything comes out even better than you’d imagined. Amazing. Convection steam skeptic? Now you can believe. Wolf's Chef Coleman speaks with James Beard nominated Chef Jonny Hunter about sous vide cooking, the role it plays in restaurants today, and how it's revolutionizing the home kitchen. 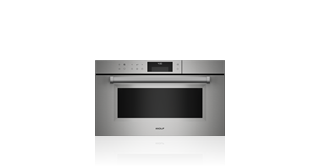 Learn the basics of the Wolf convection steam oven controls, tips and tricks for the best results, and recipe ideas. From sous vide to roasted chicken, get the most out of your product. 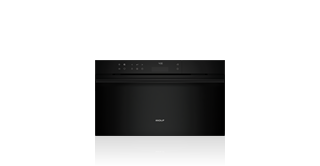 You can do amazing things with the Wolf convection steam oven – prepare almost any dish more deliciously, more nutritiously. Our free book gives you all the tips and techniques you need to master its modes, and start cooking more memorable meals right now. Over 30 great recipes! 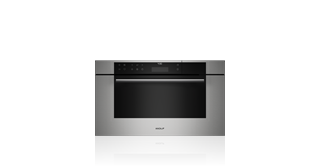 The oven’s unique digital technology senses the amount and size of the food being prepared and automatically adjusts all the details of cooking to achieve results never before accomplished at home. Unlike steam assist, true steam releases enough steam, at the right moment, to create bakery quality crusts, sous vide, and more. Stack the convection steam oven with other Wolf built-in products, or install it on its own. 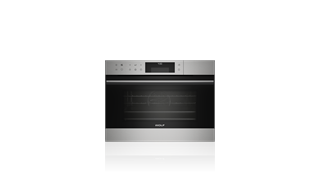 Whether your kitchen is traditional, modern or somewhere in between, there’s a convection steam oven that will work beautifully with your décor.